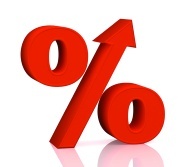 ME Bank has announced a hike in its variable rates by up to 10 basis points and fixed rates are rising by up to 15 basis points, according to the Australian Financial Review. ME head of home loans, Patrick Nolan, said, "The increases were based on increasing swap rates – up 40 basis points since the end of August - and increasing cost of deposit funding. "Despite the increases, ME's variable and fixed rates are some of the lowest in the market across both owner occupier and investor loans." Bank of Sydney is also raising its five year fixed rates by up to 60 basis points and according to Canstar, Bank of Queensland by 20 basis points. Solid ME business model. Make clients wait a month for assessment and then get your pricing so wrong that you have to put your rates up. Or was it just deceptive conduct?